Plateau United head coach Kennedy Boboye is optimistic that the reigning NPFL champions can reach the CAF Champions League group stage despite being defeated 4-2 in their First Round first leg match against Etoile du Sahel on Tuesday. The debutants were comfortably outclassed during the first half in Sousse, and were three goals down inside the opening eight minutes, but battled back during the second half. Two late goals change the complexion of the clash, and while United remain the outsiders, a 2-0 victory in front of their own fans would see them through to the group stage. "We should go back to Jos, take away the positives from the lessons learnt in Sousse, score clean goals and progress in the tournament," Boboye told KweséESPN. "It's doable due to the fact that we are big scorers at home," he added. "Plateau United have scored five goals in the league and three goals in the CAF Champions League." Amr Marey's opener and Amine Chermiti's double gave the Tunisian giants an apparently unassailable lead inside the first eight minutes, while Aymen Sfaxi added a fourth in the 54th minute to apparently kill the tie. "It wasn't an easy one," reflected Boboye. "First of all, we lost concentration in the opening two minutes, although the goals were offside in my own view. "I think we dropped our standard in the first two minutes considering the quality of squad we assembled for the competition, conceding three goals in the opening eight minutes which I wasn't happy about. "At the end of the first-half, we went back into the dressing room and I spoke with the players and we came back smoking in the second half." United reduced the deficit in the final 20 minutes, with Raphael Ayagwa's 70th-minute effort and a goal from Tosin Omoleye eight minutes from time halving the hosts' advantage. 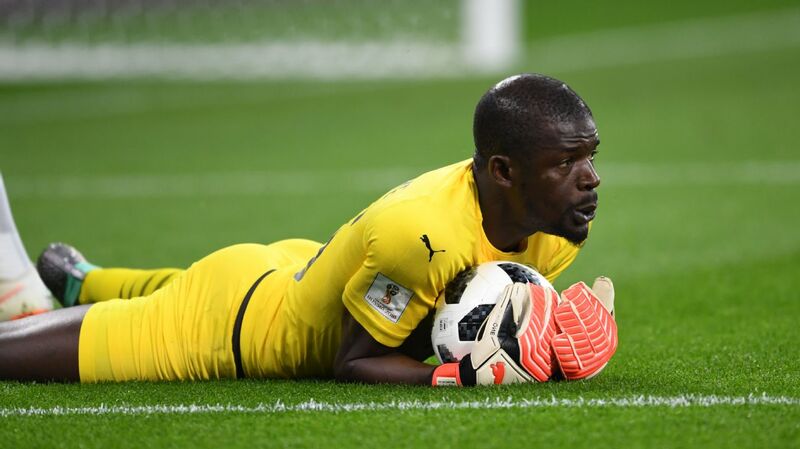 "If we had converted out chances, I felt we could have equalised from been 4-0 down," added Boboye, "but we are confident of overturning the two-goal deficit in Nigeria. "It's not in my style to talk about referees, they are human, but yesterday's errors were quite glaring and gladly the clips are on the internet for everyone to watch." The two sides meet again at the New Jos Stadium on March 18 as they seek to secure a spot in the money-spinning group stage. "We know the task ahead and our aim is to qualify for the group stage by defeating Etoile du Sahel," Boboye concluded, "but our immediate focus is on the two league games before the crucial second-leg tie at home to Etoile."